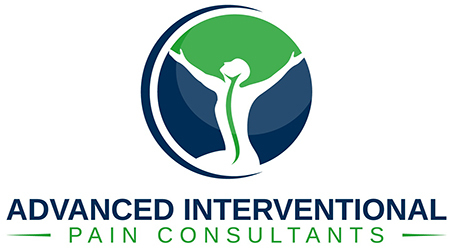 AIPC offers Interventional Procedures for pain management in the office and are performed by Dr. Jaime Robledo. The treatments are safe, minimally invasive, and clinically proven to be highly effective. A transforaminal injection is an injection of long acting steroid into the opening at the side of the spine where a nerve roots exits. The long acting steroid that is injected reduces the inflammation and swelling of spinal nerve roots and other tissues surrounding the spinal nerve root. This may in turn reduce pain, tingling and numbness and other symptoms caused by such inflammation, irritation or swelling. Also, the transforaminal injections can be used to identify a specific spinal nerve root level or levels that are the source of pain. The transforaminal injection consists of a mixture of saline, local anesthetic and the long acting steroid medication. This procedure is done under local anesthesia. The actual injection takes five to ten minutes. An epidural injection is an injection of long lasting steroid and occasionally some other medications into the epidural space. The epidural space is the area that surrounds the spinal cord and the nerves coming out of it. Epidural injections are quite successful for spinal stenosis or a gradually tightening of the spinal canal from degenerative processes. Epidural injections can also help degenerative disc disease, certain neuropathies, reflex sympathetic dystrophy and other conditions. Facet injections are injections of medications into the actual facet joints. Facet injections are used to reduce the inflammation and swelling of tissue in and around the facet joint space. This may in turn reduce pain and other symptoms caused by inflammation or irritation of the facet joint and surrounding structures. Most patients receiving facet injections have already tried other, more conservative, treatments including anti-inflammatory medication, chiropractic or physical therapy. The injection consists of a mixture of local anesthetic and a steroid medication. The actual injections take only about 10 to 20 minutes. A sacroiliac (SI) joint injection – also called a sacroiliac joint block – is primarily used either to diagnose or treat low back pain and/or sciatica symptoms associated with sacroiliac joint dysfunction. The sacroiliac joints lie next to the spine and connect the sacrum with the hip on both sides. There are two sacroiliac joints, one on the right and one on the left. Joint inflammation and/or dysfunction in this area can cause pain. Radiofrequency nerve (RFN) ablation is a treatment that uses radiofrequency energy to heat and destroy nerves to reduce pain. When a nerve is heated in this way, it can no longer send pain signals. RFN ablation is commonly used to treat pain arising from facet joints. Tiny nerves, called medial branch nerves, supply facet joints and transmit pain. RFN ablation destroys these nerves, and lessens pain. Like facet joint injections or MBB, RFN is done with x-ray guidance. Intravenous medicines and local anesthetics are used to decrease the pain of the treatment and keep you as comfortable as we can. Specially-designed insulated needles are placed near or on the facet joint nerves. The RFN needle has a special tip that is not insulated and heats up. Once the needle is in place, the area is numbed and the needle is attached to the RFN machine. The heat produced at the needle tip destroys the nerve’s ability to transmit pain. Spinal cord stimulation (SCS), in the simplest form, consists of stimulating electrodes, implanted in the epidural space, an electrical pulse generator, implanted in the lower abdominal area or gluteal region, conducting wires connecting the electrodes to the generator, and the generator remote control. SCS has notable analgesic properties and, at the present, is used mostly in the treatment of failed back surgery syndrome, complex regional pain syndrome and refractory pain due to ischemia. SCS is analgesia on demand. It is a useful option when other forms of therapy fail. It reduces pain medication and side effects. It is effective in about 50–70% cases. It is an invasive procedure, so it can have associated complications such as infection, bleeding, and dural puncture. It has the risk of disconnection or equipment failure.